UPA chairperson Sonia Gandhi’s son-in-law Robert Vadra was grilled by the Enforcement Directorate (ED) for over eight hours on Saturday in connection with a money laundering case. This is the third time Vadra was questioned this week. 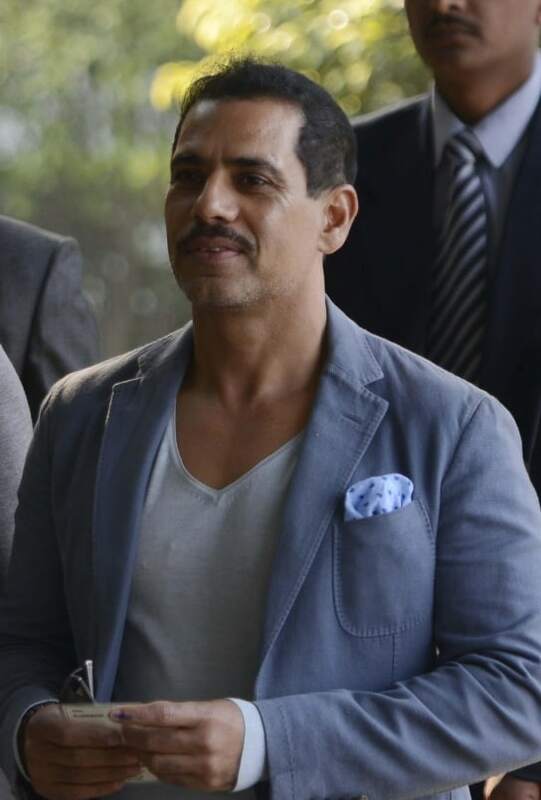 Vadra reached EDâ€™s office at Jamnagar House in central Delhi around 10.45 am this morning for questioning. After a two-hour-long break, questioning resumed at around 3 pm and ended at around 8:30 pm. ED officials had quizzed Vadra on Wednesday and Thursday as well. Vadraâ€™s lawyer KTS Tulsi had earlier alleged that theÂ EDÂ was leaking information about his questioning. He claimed that the probe agency has nothing concrete against his client.